I’m excited to share my latest version of a recycled bag. It’s a wheelchair or walker tote bag. It’s crocheted mainly in grey plastic bags with puff stitch stripes in red, white and blue. These handy little totes can be hung from a wheelchair or walker. This particular pattern calls for buttons but you can also use Velcro for the closures if you’d like. 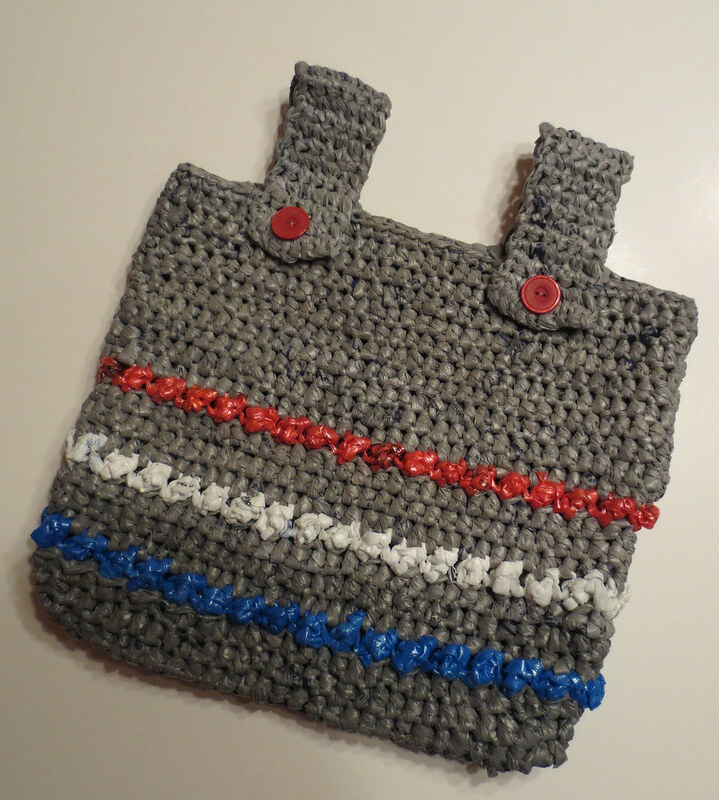 I have crocheted many different styles of wheelchair tote bags over the years. If you are looking for a free pattern using regular worst weight yarn here is my patriotic wheelchair tote pattern. 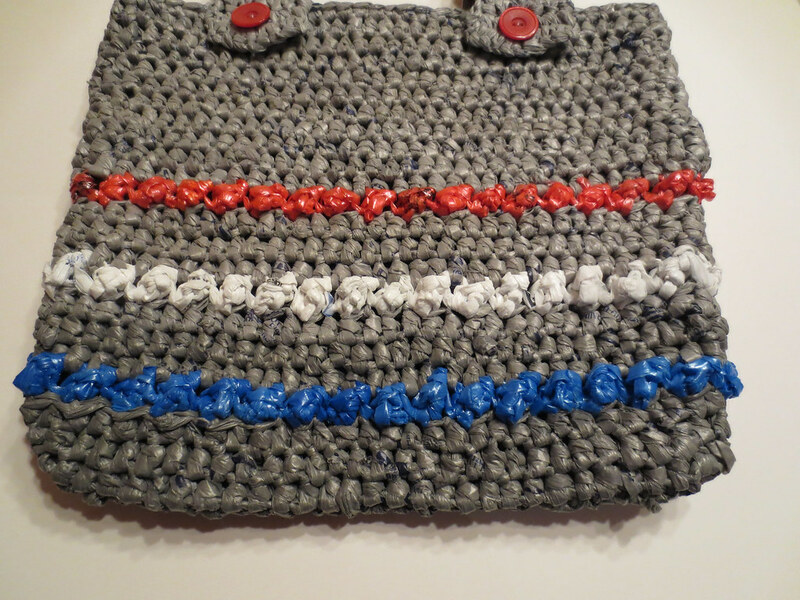 Maybe you’d like to crochet the tote bag using recycled t-shirts cut into t-shirt yarn. If so, here is my free t-shirt yarn wheelchair tote bag pattern. This puff stitch pattern features three stripes but you can always add more or make the tote bag longer by adding more rounds. I have several photos below that you can click on to super size them for more detail.